And they're hoping people will schlep to the Upper East Side for it. New York City has no shortage of upscale bars, but you'd be hard-pressed to find one where you can get a Manischewitz cocktail with a side of pastrami deviled eggs. 2nd Floor at 2nd Ave Deli, which opens today, November 27, is hoping to bridge the gap between nostalgic Ashkenazi Jewish comfort food and contemporary cocktail culture—all without being overly schmaltzy. Brothers Josh and Jeremy Lebewohl—nephews of the original 2nd Ave Deli owner Abe Lebewohl—brought the famed deli back from the brink after its original 10th Street restaurant closed in 2006 due to disputes with the landlord. Though they added a selection of smoked fish and expanded to a second Upper East Side location a few years later, the heart, soul, and pastrami of the deli remains the same—which is exactly what has kept loyal regulars and tourists alike coming back after all these years. With the opening of 2nd Floor at 2nd Ave Deli, the Lebewohl brothers are creating a space in which they can honor the Jewish deli while also branching out in a new, modern direction. Discreetly located around the corner and upstairs from the Upper East Side location, the bar—including the wines and cocktails—will also be kosher. 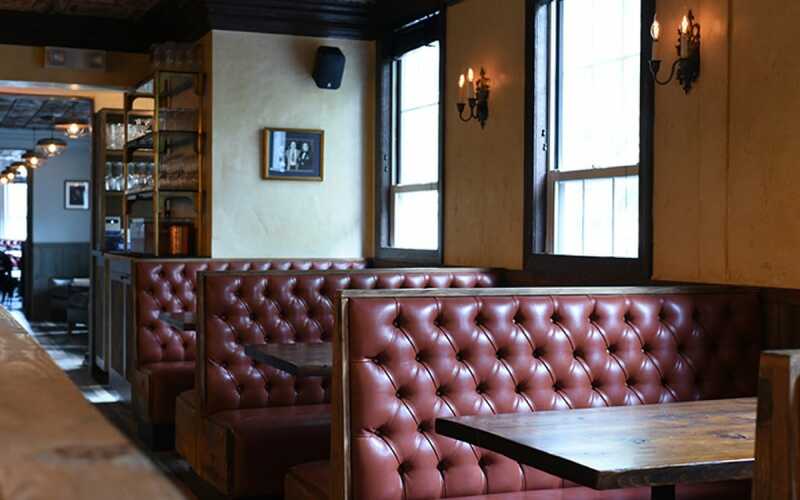 With pressed tin ceilings, dark leather banquettes, and old Yiddish posters, it has the familiar feel of a bygone era. "I envision it being first a neighborhood spot," says co-owner Jeremy Lebewohl. 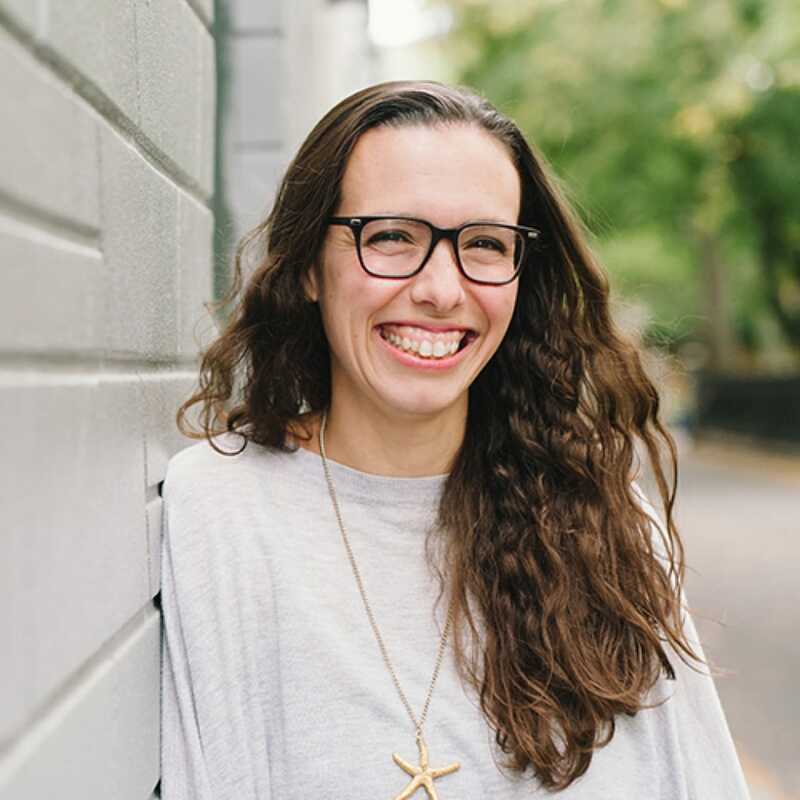 "That being said, because we're doing something so unique and different—there's really nothing like it anywhere else in the city—I do think we'll have people traveling to us even though the Upper East Side isn't necessarily known as a destination neighborhood." According to Jeremy, the menus are "a team effort" between beverage director Jason Jeffords III (a veteran of New York heavy hitters like Pegu Club and Gotham Bar & Grill), David Teyf (a big name in the kosher food world) and "the 2nd Ave Deli family." 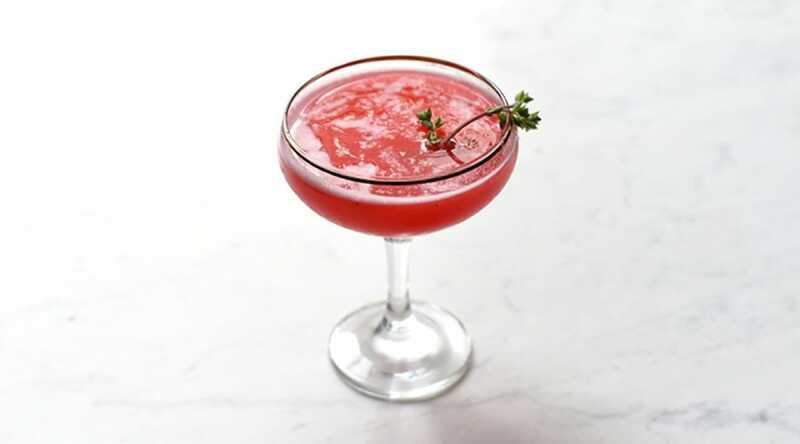 A number of the cocktails pay creative homage to the Lebewohl's roots with ingredients like slivovitz, Manischewitz and Dr. Brown's soda. The refreshing Upper East Sider, for example, includes vodka or gin, Cel-Ray (celery soda), ginger, lime and mint. Meanwhile, the Shofar—a seasonal fall and winter cocktail—combines apple brandy, house grenadine, honey, lime, baked apple and cinnamon (flavors that are common at Rosh Hashanah). Israeli beer and wine round out the rest of the beverage menu. 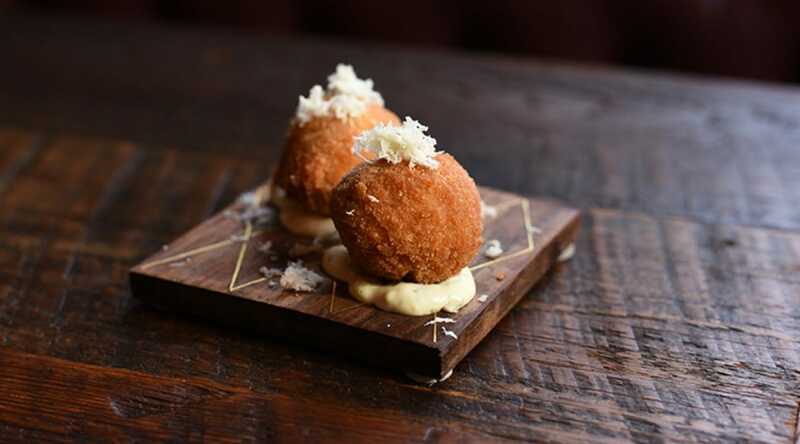 Food offerings include gefilte croquettes (pictured), smoked tongue sliders, mini stuffed cabbage, and more. There is plenty to nosh on as well. Snack on gefilte croquettes, smoked tongue sliders, mini stuffed cabbage, and all manner of herring, or indulge in a meat board or plate of chicken Kiev. If this sounds like the sort of food you could get downstairs, think again—even the Franks in a Blanket get a contemporary spin with sauerkraut baked bean "essence," matzos crackling and everything bagel seeds. In fact, don't get any funny ideas about bringing up a triple-decker sandwich to enjoy with your drink. "The space is different, the vibe is different and we want people to enjoy the menu we're curating for the space," explains Jeremy Lebewohl. "That said, they can enjoy the food downstairs and then come up for a drink afterward, or vice versa. Even though there is a full menu for the space, people can feel perfectly comfortable coming up here for a drink and not ordering any food." Small plates range from $6 to $8, mains from $22 to $36, and cocktails go for $14. 2nd Floor at 2nd Ave Deli will be open daily from 5:00 p.m.
All images courtesy of 2nd Floor. Credit Danielle Adams for BeccaPR.